We already knew that Hyundai Motors India Limited is the second largest passenger car manufacturing company and largest passenger car exporter of India. To add to its glory now this company has recently announced that its much loved car, the Hyundai Santro has raked an exemplary export figure of 5 lakh units. Yes, in one of the reports issued by a news daily, Hyundai claimed to have reported more than 5 lakh export numbers of their Hyundai Santro, from the country itself. The ‘tall boy’ of the Hyundai has always been bringing fruitful result to its name and this is just one of them. This unique design of this car had its way right inside the heart of many as soon as this car hit the market. Ever since the sales graph of this car has never seen a downturn. By providing the customers with safety, comfort and style, it has truly marked its presence in their hearts. Now the situation is that Hyundai Santro is exported to over 80 countries and is making India swell with pride as it proudly flaunts its ‘Made in India’ tag on its chest in those countries. 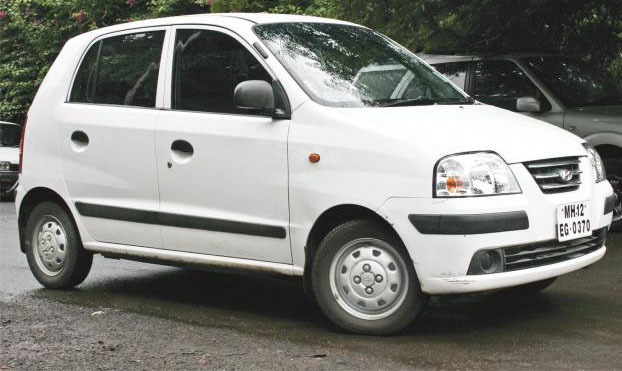 Hyundai Santro’s export began when the company exported 20 Santros to Nepal in the year 1999. Hyundai now exports cars in over 115 countries and still holds the largest passenger car exporter tag in its palm.